You finally went to your doctor, got a prescription for phentermine and now all that’s left is to pick up your pills and get started! The day before you embark on a big lifestyle change is often full of emotion – anticipation, nerves, excitement and more – so it’s likely you’re buzzing with energy. Follow these tips to harness that energy, set yourself up for weight loss success and get ready for the diet that starts tomorrow! You’re ready to make a change, lose weight and start living healthier. 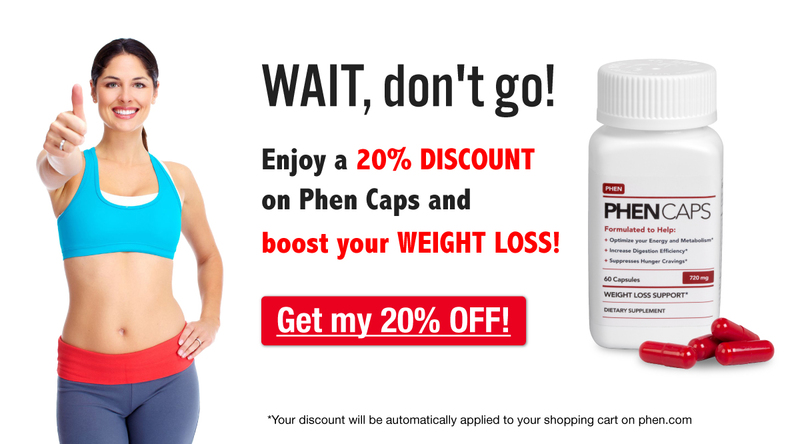 So, what can you do today to prepare for your phentermine weight loss journey? Did you know that there really is a “best day to start a diet” according to science? Research shows that people who start their diets on Sunday, Monday or the day after their birthdays enjoy the highest rate of weight loss success. This is because the “new week, new me” mentality, also referred to as the “fresh start effect”, gives you an extra boost of energy to embrace your new healthy habits. Harness that motivation to develop healthy routines like packing lunch, taking a walk after dinner or watching less TV. That being said, if you fall off the wagon, don’t wait until the next “fresh start” to keep going. Every meal and every moment is a new opportunity to make a healthy choice, so if you falter just pick yourself up and keep going! Remember: we’re only human. When you read about goal-setting, there’s a common phrase that pops out: “a goal without a plan is just a wish”. Do you have a plan for your weight loss journey, or is it still a wish? The day (or week) before you start phentermine is a great time to establish and evaluate your weight loss plan. Think about how you want to eat, what you want to do for physical activity, and if there are any other factors in your life that contribute to your weight gain. By defining goals and establishing how & when they will be accomplished, you’re already taking steps to keep yourself accountable and achieve weight loss success. To read more about how to set SMART goals, click here. Now that you know when you’re going to start and how you’re going to approach your phentermine weight loss journey, it’s time to clean-out your pantry and fill the fridge with healthy fuel. In setting your SMART goals, hopefully you defined a nutrition strategy that you’re planning to follow for the next three months (and beyond!). Common choices are low-carb, plant-based, keto, or good old-fashioned balanced eating. Regardless of which diet you choose, it’s best to stock your kitchen with the foods you’ll need before you start the diet. After all, it’s much easier to stick with a new eating plan if you have lots of options already in the fridge! Finally, head to the grocery store. Stock-up on healthy foods, including nutritious snacks for between meals or late at night. If you’re new to the diet that you’re starting, it can be very helpful to look for a meal plan that will give you ideas for healthy meals and snacks all week long. Even with all the “to do” tips in the world, it’s still easy to fall into some unhealthy behaviors if you’re having mixed feelings about the fact that your diet starts tomorrow. One of the absolute most common things I hear from people who are planning to start a diet tomorrow (or next week, or next month) is that they’re “eating all the food that they won’t be able to eat anymore”. While I completely understand the sentiment, binging on your favorite junk foods does not help your body prepare for a big lifestyle change. Instead of “getting it out of your system” and making you feel better, feasting on junk food will more likely spike your blood sugar, leading to the inevitable crash. Big variations in blood sugar increase cravings, especially when you go low, so binging the day before a diet actually makes it harder to steer clear of temptation in the first few days of eating healthier. Still, if you really want that one last splurge before you really clean-up your diet, that’s totally understandable! The trick: keep it moderate. For example, if you love Snickers, go for it and savor a delicious Snickers bar the day before starting phentermine. Just don’t let that one Snickers bar cascade into three more Snickers plus two cupcakes and a whole bag of chips. Last but definitely not least, try not to beat yourself up while thinking about how your diet starts tomorrow. Instead of focusing on all the reasons you don’t like your current body or lifestyle, focus on all the reasons that you’re committing to this change. Think about the positive reasons to lose weight and get fit. If you can, concentrate on how this upcoming pledge to healthy living is a form of self-love – you’re taking the time to put your health first and take care of yourself! That’s something any of us can be proud of. Getting in the right mindset makes weight loss easier, more rewarding and more successful! These tips will being you one step closer to weight loss success with phentermine – starting from day one! Best of luck on your weight loss journey!! Share your questions, comments and experiences with us in the comments section below!